Star Trek fans have long contended that there is the best films in the original series were even-numbered. Whether it’s classics like The Wrath Of Khan or The Voyage Home, or slept-on late-franchise Next Generation entries like Nemesis and First Contact, the Star Trek galaxy seems to oscillate entry-by-entry between its best qualities (high sci-fi philosophizing, interesting world-building, rich characters, Klingons) and its worst (being boring and corny). A theory on Road & Track posits that the Fast & Furious franchise suffers from a similar but inverted quality: namely, that the odd-numbered entries are the only good ones. Last week the series’ eighth installment came out, and, while it has shattered opening-weekend records, it received a largely muted response critically. 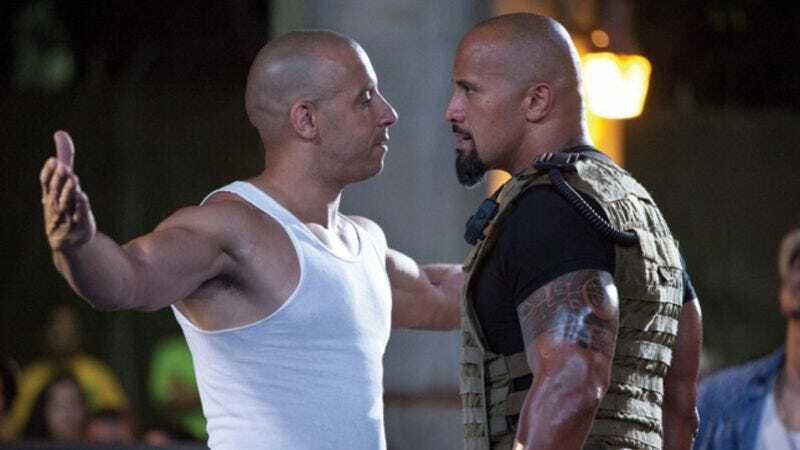 The larger theory holds water: Few would disagree that Fast Five marked a turning point and rebirth for the franchise, or that, among the early films, the original set up the template and cultural touch-points that future films would refine. Among the post-Five films, most give Furious 7 the nod over the still-good Fast And Furious 6. Really, the lodestone of the argument is the ever-contentious third entry, Tokyo Drift, released at a time when the series was thought to be fading off into straight-to-DVD irrelevance. It’s the odd duck in the series, eschewing many of the series’ stars in favor of an emotionless Paul Walker stand-in who goes to Japan so he can seemingly call himself a gaijin a lot. Many series fans, though, quietly think it’s the best in the series, the place where it stylistically veered from trashy action franchise to thinking man’s action franchise, the legend of la famiglia. Your stance on the issue will probably determine your belief in the odd-numbered Fast & Furious film theory.